So you’re all set for the party? Hair…check, makeup…check, dress…check, nails…oh no, you suddenly spot a nail ripping off your well manicured hands? No need to press the panic button. What follows is a list of DIY emergency repair tricks to fix broken nails. This trick comes in handy when your nail is partially broken or torn. 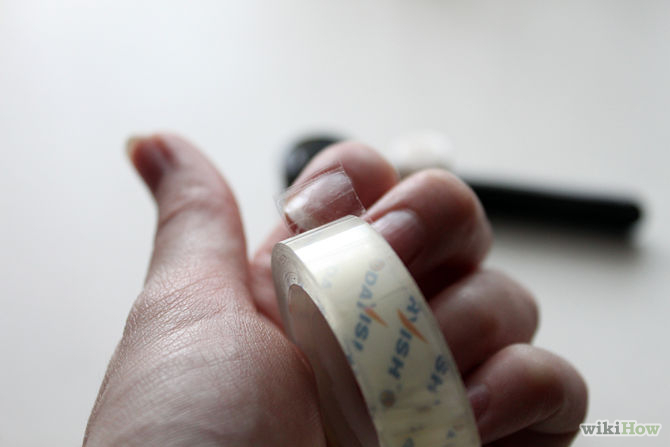 Cut a small piece of clear tape and stick the centre of the tape over the centre of the nail break. Press it gently so that it covers the tear from end to end. Make sure that you rub in the direction of the tear and not against it coz that would cause the nail to peel up further. Leave the tape on for a while and then gently peel it off in the direction of the tear to get a nail adhered back in place. If the tip of your nail has broken off completely, then this trick can do an easy fix. Soak the broken nail tip in warm water. Use a toothpick to apply a small bead of nail glue and spread it over one side of the broken nail, creating a thin coat of adhesive. Now use the tip of the toothpick to bring the broken nail back in place. Gently press the nail with the side of the toothpick. Avoid getting the glue directly on your fingers. Now dab some nail paint remover on a cotton swab to get any excess glue off the sides of your nails. Use a nail filer to file all the hard edges. Once your nail looks back in place, strengthen it with a protective top coat which will also give your nail a smooth finish. Cut a small paper patch from a tea bag, big enough to cover the entire nail tear. Now apply a bead of nail glue on this paper and press it on top of the tear. If you don’t have nail glue then apply a layer of base coat on the paper patch placed on the nail tear to make the paper stick to the nail. Allow it to dry, then gently clip, file and buff the top of the paper to smoothen out any uneven patches on the nail. Finish with a layer of base coat followed by nail paint.